The old adage has proved true, that April showers do bring May flowers. Blooms are everywhere and the sight and smell of them is such a lovely sensory treat. Maybe one day I can enjoy the flowers of May by going through rose covered garden passageways like these. Just magical! Those rose arches are proof positive that spring is here with summer to come! Works for me! Oh so pretty! Makes me wish I lived far from the city and closer to a countryside garden. i wish my roses bloomed like these! just gorgeous. I was just talking to someone about going to a flower garden. These are beautiful. 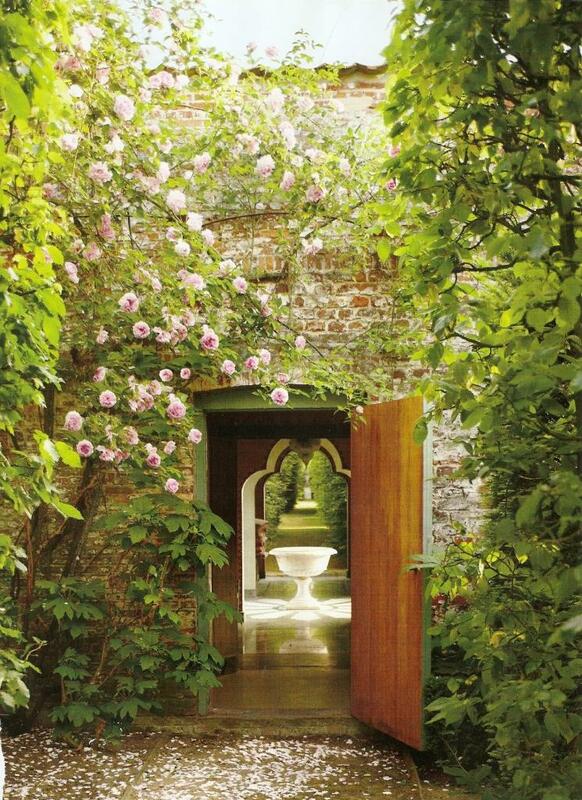 I love the whimsical, inviting feel of the doors in that second garden. Makes me feel like I'm lost in peace! just came across your blog and and its beautiful! love the photos that you posted. Great job! Glad to see these and better capturing .